Written by Shayla Price on December 19, 2017 . Customers desire better promotions. Your generic offer—that only satisfies half their needs—isn’t compelling enough. That’s a daunting hurdle to overcome as a SaaS business. You have a diverse group of users with varying needs, from the solopreneur to the Fortune 500 enterprise. You need a robust solution that can send customized promotional emails. 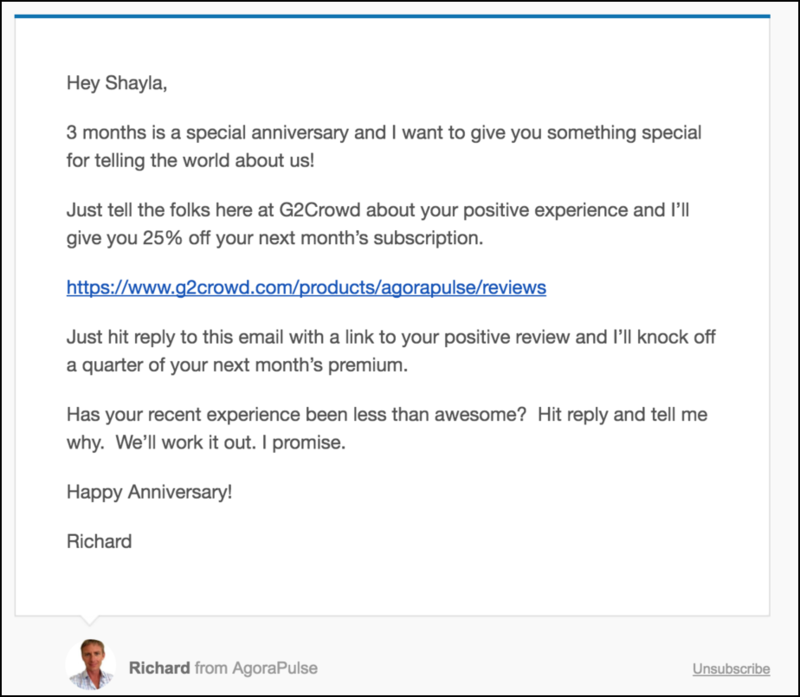 Then, your tailored 15% product discounts won’t get skipped over in users’ inboxes. Dynamic segmentation is the tool you’re so anxiously seeking. It helps you deliver promotional emails that adjust to your users’ behaviors. You can send unique offers to relevant audiences to earn higher conversions. By investing in dynamic segmentation, customers receive a suitable deal, and your SaaS team moves another valued user down the sales funnel. Lists created with dynamic segmentation can be used for marketing purposes, lead nurturing, and retention. And it requires no extra input from your prospects or customers, adapting with them over time as their behaviour and interests change. Segments will vary based on your promotion. Some of your deals may benefit trial users who signed up within the last month. Or your team could focus on loyal fans who’ve enrolled in your yearly subscription plan twice. With Customer.io, your team can replicate this technique right now. Create segments from a combination of attributes, actions, events, frequency, and times. 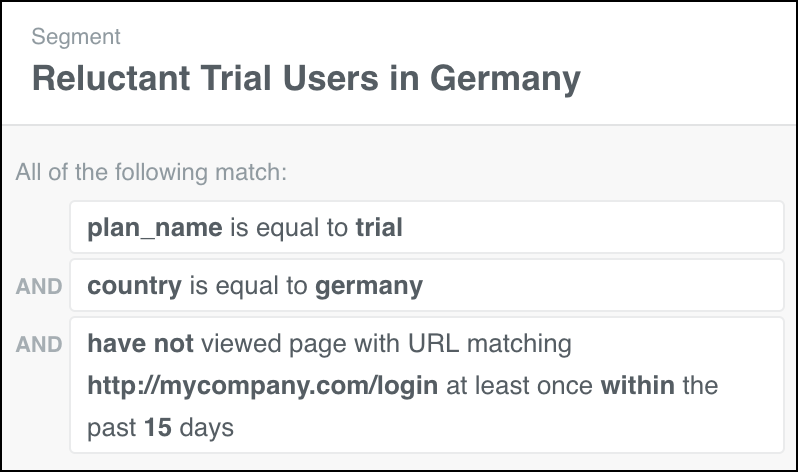 Here’s a segment targeting trial users in Germany who haven’t accessed their accounts in the past 15 days. Agorapulse implements a similar strategy. Customers sticking with the platform for 3 months receive a 25% off coupon on their next month’s subscription (if they leave a review). Dynamic segmentation opens the door to personalizing the customer experience. Subscribers will be more inclined to pay attention to your offer and click the link. Bombarded with email from friends, family, and co-workers, the last thing you think a customer would want is a message from your business. In fact, they do. The Data & Marketing Association reports that “almost 50% of consumers prefer to hear weekly from companies sending promotional emails.” It’s still important to not overwhelm your subscribers. Sending too many promotional emails can result in habituation. That happens when customers get so used to your actions that they will eventually ignore them. To prevent subscribers from tuning out your promotions, you want to develop the right timing in your email delivery. Consider sending messages on the days where you get the best open rates and timing your promotion to the natural end of something, like the end of the week. However, the timing of these promotions focuses on your SaaS’s readiness, not the customer. Instead, you want to take advantage of dynamic segmentation. That way you can send triggered campaigns that correlate to the timing of your users’ behaviors. Once subscribers meet the parameters of your predefined segment, only then will they receive your desired message. This strategy gives you the flexibility to automate your promotional email campaigns—saving your team time to do other important tasks. 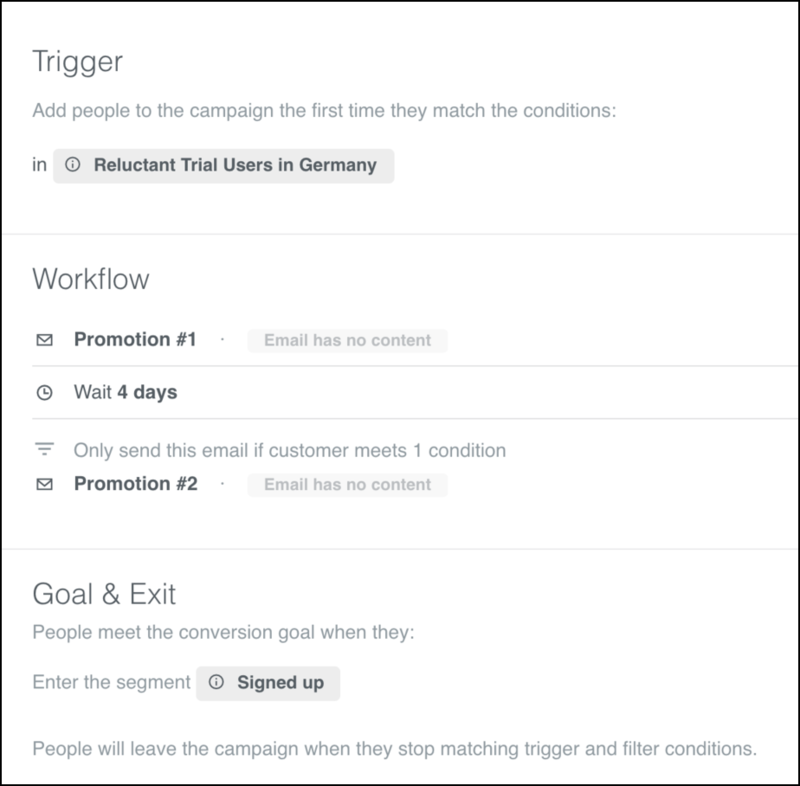 In the example below, subscribers who fit the ‘Reluctant Trial Users in Germany’ segment will enter this workflow and instantly receive the ‘Promotion #1’ email. After a four-day delay, the same subscribers will receive the ‘Promotion #2’ email (only if they satisfy a specific condition I’ve added). Aligning your customers’ characteristics and habits with your promotions is key to ensuring you don’t send a promotional email too soon or too late. The perfect timing will drive users to action. Customers are bypassing your one-size-fits-all promotions. And they don’t mind weighing your offer against a few of your competitors. Dynamic segmentation is powerful for breaking through these barriers to send relevant promotional emails to your SaaS audience. And with the right timing, your promotion becomes a magnet for users to jump on now, rather than later. We want your thoughts! What’s your experience with promotional emails? Share your comments below.